This recipe is a repeat, served as dinner this time. 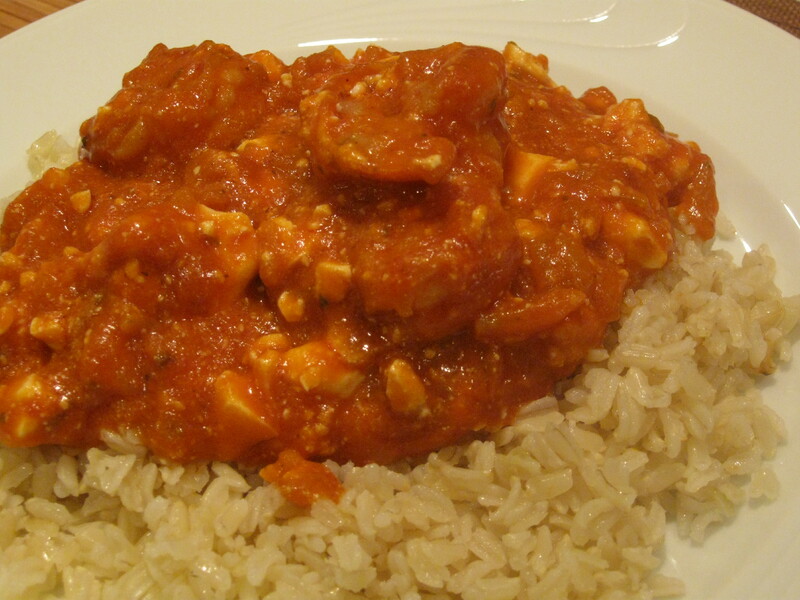 Prepare the ‘Shrimp with tomato sauce and cheese’ recipe and serve with brown rice cooked per package instructions. It’s been more than ten years now that I’ve cooked this shrimp dish for the family and we still mmmm…. it. You can’t get bored if you tried. If you are a hard convert to brown rice, try it with this recipe. The taste from the shrimp is so tense and delightful, nobody will notice the switch to brown rice and it’s much healthier.